Get our unique proprietary Volume Spread Analysis (VSA) trading system that gives you the edge in the market regardless stocks, futures, ETFs, forex or bitcoin currency. Truly Made-In-Malaysia For International Stock Exchanges, Futures, BitCoin & Forex Markets – REAL-TIME* & DELAYED FREE PRICE FEED! The TradeVSA Pentagon Guider system is a sophisticated trading expert SMART MONEY TRACKER system that track smart money flow by generating buy and sell signals that aims to remove the majority of the technical nor fundamental analysis. Like the navigational application, WAZE GPS apps. Get TradeVSA Pentagon Guider Now! Available via our Partner, TradingView platform, Google PlayStore or Apple Store. 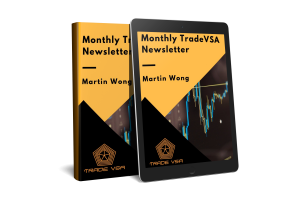 The TraderVSA Pentagon Guider Smart Money Tracker system is designed for all time frame from intraday trader to positional trading as well as medium term investors. You can have an option to hold within intraday, to few days or a few weeks depending on the market conditions and traders’ risk tolerance. Do all TradeVSA Pentagon Guider traders take the same trades? In our opinion, trading is very personal to each individual in regard to their risk tolerance, education and income level. When market is in doubt or trader is uncertain, we don’t recommend traders or investors to hold any positions, or simply wait for better conditions when they are comfortable to do so. We believe the market dynamics based on Smart Money Flow Principle that not all stocks will trade the same way. There are traders who like momentum stocks, low volatility stocks, others swing stocks; while for some intraday trading. Traders/investors eventually, will incorporate the best of TradeVSA Pentagon Guide into their personal trading style and preferences that they are comfortable with. We at TradeVSA, provide traders/investors an ecosystem to achieve their trading/financial goals with our finest education, trading system & tool as well as trading philosophy that is based on Volume Spread Analysis Master Traders, like Richard Wyckoff and Tom Williams. This framework is the key to success, as currently it has been modeled by our graduates of our program. What makes the TraderVSA Pentagon Guider different from any other systems? If you are not using volume for your trading, you are missing one of most important leading indicator in trading. At TradeVSA, we use our in-house proprietary volume spread analysis algorithm which is different from the traditional technical analysis or price and volume system and others in the market. A trend following system like our TradeVSA Pentagon Guider also come with VSA screeners, Pentagon Guider Buy and Sell screener as well as popular VSA Sign of Strength (SOS) and Sign of Weakness (SOW) screener. To make consistent profits in all market conditions, traders need to have an edge to screen for the highest profitabilities of stock success in your favour either long or short. If I have zero knowledge or beginner in trading, is the Pentagon Guider System suitable for me? ii. What is Volume Spread Analysis? iii. How to use the tradingview charting system? We guide you from the basic to intermediate or pro level. After I subscribe to the Pentagon Guider System, what happens after 12 months? How can I renew my subscription and how much should I pay? I’m a current user of TradingView,and I don’t have TradeVSA Pentagon Guider? What should I do now? What is the difference between TradingView and TradeVSA Pentagon Guider System ? Can I just have TradeVSA Pentagon Guider System only ? 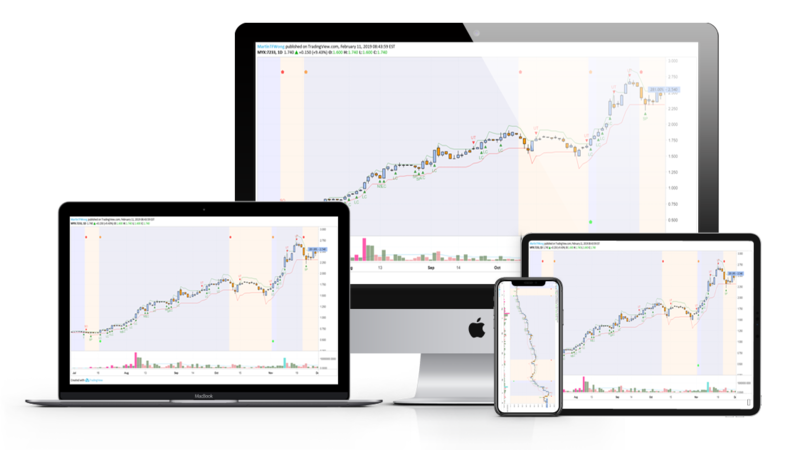 TradingView charting platform is easy and intuitive for beginners, and powerful enough for advanced chartists. TradingView has all charting tools you need to share and view trading ideas. Intraday data and browser-based charts let you do your research from anywhere, since there are no installations or complex setups. TradeVSA Pentagon Guider is an indicator / system that track smart money flow by generating buy and sell signals that aims to remove the majority of the technical nor fundamental analysis. You need TradingView charting account to access to TradeVSA Pentagon Guider indicator. What is Real-Time* Price Feed vs Delayed Free Price Feed ? I am one of old graduates of Market the Markets and VSA students. I learnt before from Martin and I already have naked chart reading experience.But I am also interested to get the Pentagon Guider system. How do I subscribe? Can I pay using cash? If yes, how do I deposit the payment? For direct transfer payment, the approval will take about 24 hours (Business Hours) after the payment received is validated by our side. Do you offer any Installment Plan Packages? What is the benefit and how can I sign up for this Installment Plan Packages? We have both 6 months Subscription Plans with 0% Interest Free Installment Packages via Maybank Credit Card Machine. The installment plan is applicable for Maybank credit card only. I don’t think Pentagon Guider System is for me, can I cancel my subscription? Immediately upon signing up and payment made for your TradeVSA System, you will access to our indicators and other support 12 months. You can terminate your subscription anytime but no refund is allowed. I can‘t pay using your online payment system, my payment got rejected. I’m using Malaysia’s credit/debit card? Why is this so? You might need to check with your bank about the limit for the credit cards. Please call to get these limits lifted.